Ford Galaxy 2.2 Duratorq TDCi (200PS) BF06-LRF-T - Superchips Bluefin from Pumaspeed. In today's market with soaring fuel prices, you want better mpg from your car. Saving petrol or cutting diesel fuel consumption is increasingly important. But, you still want to enjoy driving. With Superchips engine tuning, you can have it all! Superchips engine chip tuning means IMPROVED FUEL ECONOMY as well as improved performance – saving you money in the long run. You don’t put limits on your life, so why have them on your car? 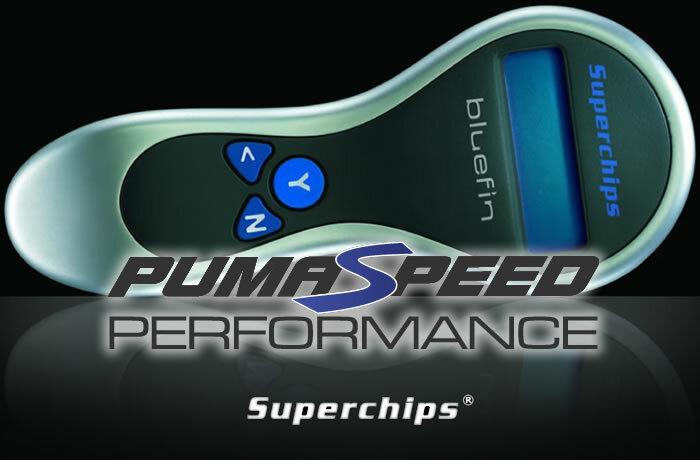 Superchips carefully matches increases in turbo boost pressure with the remapped ignition timing and fuelling. It doesn’t affect reliability or the life of the engine. We know – we have over thirty years’ experience of enhancing the performance of turbocharged engines. Here too, we deliver a smoother, enhanced drive by ensuring our remap matches the fuelling to the increases in boost pressure.